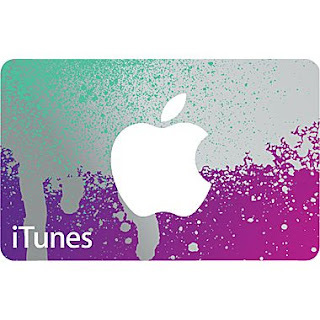 Shopping early for Back to School deals? 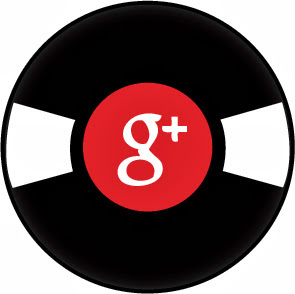 Here's a great one. Get the Mr. Sketch Assorted Scent Markers 12 Pack for only $6.89 (Retail $10.49). •Authentic, juicy scents like Apple, Cherry and Blueberry - combined with bright and bold inks to create a fun coloring experience. •Each color has its own unique scent. •Chisel tip are great for drawing broad, medium or fine lines. Amazon - Select Lincoln Logs Up to 45% off! 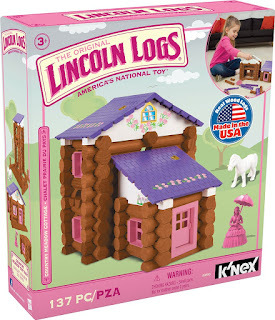 Today ONLY - Amazon is offering up to 45% off Select Lincoln Log Products. Have a Minecraft fan? Grab the LEGO Minecraft The Cave 21113 Playset for only $15.99 (Retail $19.99). EXCLUSIVE - Gymboree Flash Sale Up to 80% off! WOOHOO! Gymboree is offering us an exclusive 48-Hour Flash Sale with savings up to 80% with code: EXTRA10. This is an exclusive offer so be sure to CLICK HERE to see the sale. Sale valid Monday, June 29th - Tuesday, June 30th. I'm loving this. Hurry over and grab the Play-Doh Create N Store Creation Station Kit for only $13.00 (Retail $19.99). •Comes with 6 cookie cutters, 1 ruler, 1 knife and 1 extruder. Play-Doh is not included. Melissa & Doug Deluxe Classroom Stamp Set $11.22! I can't believe it's already time to start planning for back to school. Here is a great item for teachers. Right now, get this highly rated Melissa & Doug Deluxe Classroom Stamp Set for only $11.22. Lolly Wolly Doodle Warehouse Sale - Extra 40% off! Now through July 1st, shop the Lolly Wolly Doodle Warehouse Sale and save an extra 40% off with code: EXTRA40. 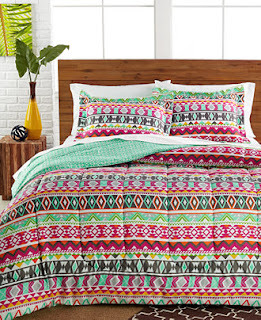 Plus, shipping is Free on orders $50 or more. Today ONLY - Old Navy is offering Shorts for the Whole Family $8 In-Store & Online. Needing other items? Take and additional 15% Off select items (no coupon needed). Aren't these just cute? 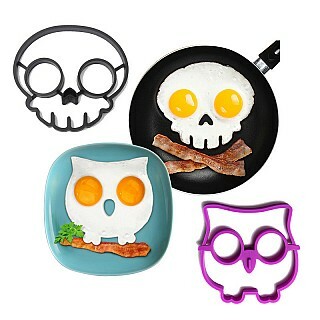 Right now you can get 2 pc Skull and Owl Fried Egg/Pancake Molds for $5.43 Shipped with code SUNNYSIDE at checkout. 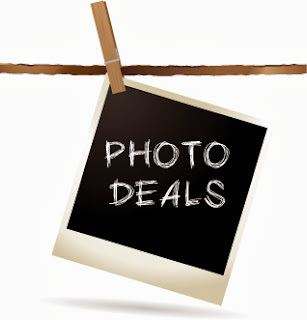 Groupon is hosting deals today as low as $1! With the sale select deals have been discounted to either $1, $5, $10 or $25. One of my favorites is Personalized Photo Canvases priced at $5 - this would make a fun gift.. You'll also find Ninja Turtles Pillow Pals, Jewelry, Photo Books, Restaurant Deals, Teeth Whitening Kits and much more! Mark you calendars! Coming up July 10th Krispy Kreme is offering Buy Any Dozen, Get A Second Dozen of Original Glazed Doughnuts for 78¢ in honor of Krispy Kreme 78th Birthday! This Friday they are featuring Three Toca Boca apps, a cute ABC app, a construction site, an email app for Special Needs kids, and a 3D building app. Most of these apps are free ONLY UNTIL 10 PM (U.S. CST) on June 26th, 2015, so start downloading now! 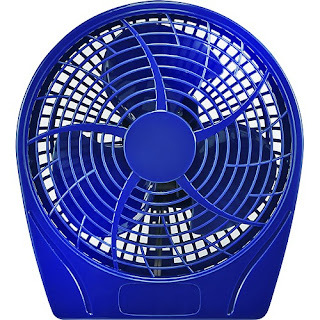 Hurry over and check out Select Insignia 9" Table Fans for $5.99 (Retail $14.99) to keep you cooled off this summer! Most orders Ship FREE on $35 or more! Aero - Additional 30% off Clearance! Now through July 5th, take an Extra 30% off Aero Clearance with code: EXTRA30. Valid 6.25.15 through 7.5.15. O my! I love these Aero NY Fit & Flare Sweatpants for only $7.69 (Retail $39.50) after code: EXTRA30. Plus, there are so many other great deals to get. 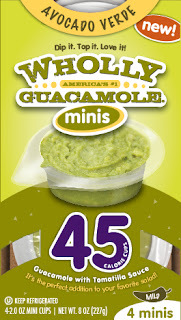 Review - Wholly Guacamole Avocado Verde Minis! Since my husband is an electrician and never knows where he will be working, it's always hard to find different things for his lunch that are easy to grab on the go and keep cold. 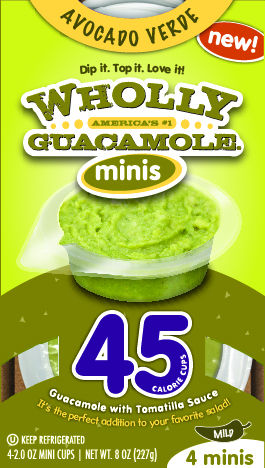 Which is why we both were super excited to see Wholly Guacamole released their new Avocado Verde 45 cal Minis which are super easy to grab and throw in the lunch box with tortilla chips. I've also sent it with a tortilla and left over chicken for him to make a wrap. Which is great for him to make when he needs it instead of it getting soggy. I especially love the convenience of them since I recently went back to work full time and sometimes we like to sleep through the alarm so in the morning when we are hurrying to get out of the house, it is a good grab it and go item. The new Avocado Verde is made with tomatillos, onions, jalapenos and garlic, it’s a perfect zesty add to a salad or entrée for celebrating dad’s day. Love this deal. Now through July 7th, all 2015 Entertainment Books are only $8.99 Shipped with code: SAVE. 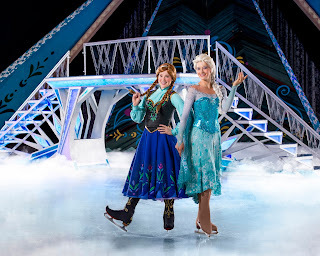 Disney on Ice Presents Frozen - Tickets Added! If you've been trying to get tickets to the Disney on Ice Presents Frozen show at FedEx Forum this September, than your in luck. They have added several new seats in lower level at the Forum for all performances. Ticket Prices: $25 and $35 with $45 VIP and $65 Rinkside seating available. *Ticket pricing is subject to change based on market demand. CLICK HERE to purchase tickets. Half-Off tickets to Christmas in July at the Agricenter Shopping Extravaganza! Can you believe July is almost here? Which means Christmas in July sales are going on. Starting today, get half-off tickets to Christmas in July at the Agricenter July 10th-12th. Christmas In July, is a three-day Shopping Extravaganza, that will be held July 10, 11, & 12, 2015 at the Agricenter International in Memphis, TN. 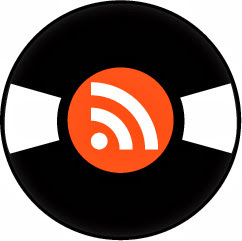 This event will consist of local merchants as well as merchants from around the country. 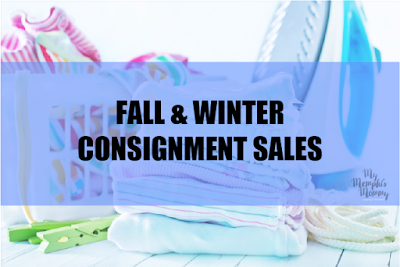 These merchants will showcase the latest trends in apparel, accessories, jewelry, children’s clothing, holiday gifts and decorations, home and garden décor, paintings, pottery, glass art and delicious gourmet candies, nuts and other tasty treats make great gifts and are perfect for holiday parties and family gatherings. Promotional value expires 7/12/15. Valid only for the 2015 Christmas in July at the Agricenter. No cash back, no cash value. 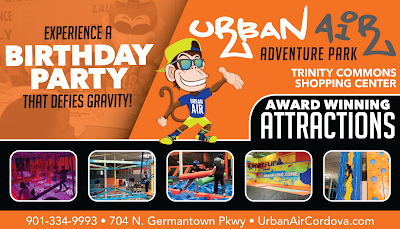 Upon checkout, please choose whether you would like your passes mailed to you or if you would prefer to pick it up at the Get My PERKS office, 1835 Moriah Woods Blvd., Suite 1, Memphis, TN 38117, Monday-Friday, 8:30 a.m.-5 p.m. For any questions or concerns, call the Get My Perks office at 901-384-5888. 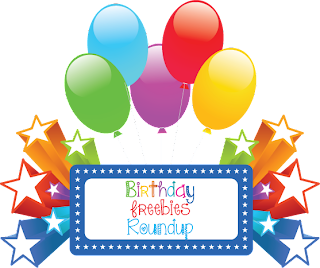 Kroger Free Friday Download June 26th! Here is another great freebie from Kroger you won't want to miss. Today Only, sign into your Kroger Plus Card account and get the Free Friday Download for (1) Met Rx (2.3-3.52 oz). Limit 1 per household. NEW Target Cartwheel 50% off Offers June 25th! Woot Woot! We have several new 50% off Target Cartwheel offers available today. These all expire on June 27th so be sure and grab them while you can. I have listed a few of the prices found online. *Note: Prices may vary by store. 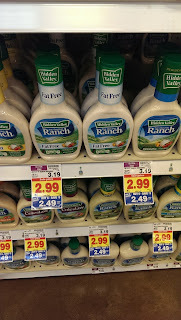 Kroger - Hidden Valley Ranch Dressing $1.29! YAY! We have a new Hidden Valley Salad Dressing coupon available to print today. Here is a great deal you can get at Kroger this week in the Mega Event when you mix & match 6 participating items. *HOT* Build-A-Bear Select Friends $8! If you have kids who love Build-A Bear, then hurry over to the 3 day online sale where you can pick up select friends for only $8 each! 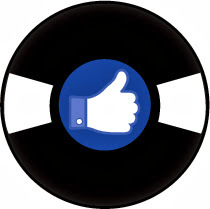 You can order these unstuffed by typing your preference in the comment box when you order. Then you are able to take your unstuffed friend and receipt to the store to have it stuffed. There are some really cute styles that would be great to tuck away for Easter baskets or to add to the gift closet. I am grabbing a few of these for my daughter's birthday next month and having a few of her friends go to the store together as her party. Kroger Delta Region Mega Event Coupon Match Up June 24th-30th! 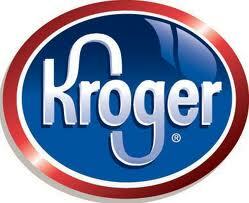 This week at Kroger, we have a new Buy 6, Save $3 Daytona 500 Kroger Mega Event. You can mix & match participating items as long as you have sets of 6 in each transaction. This is a 2 week sale so we have plenty of time to get our items. Northwest Ranier or Bing Cherries $2.99/lb. Red or Black Plums $1.29/lb. Southern Yellow Peaches or California Nectarines $1.28/lb. Heritage Farm Boneless Chicken Breasts or Thighs $1.99/lb. Pork Spare Ribs or Chicken Wings $1.99/lb. Private Selection Roast Beef $8.49/lb. Simple Truth Pork Back Ribs $4.99/lb. USDA Choice Boneless English Roast $4.99/lb. USDA Choice Boneless Flat Iron Steaks $6.99/lb.